Since I started this journey that I call a year of leadership, I’ve been asked on more than a few occasions in emails and messages, “why a year?” There were other questions too but they all boiled down to the same thing. Once I recognized just how important leadership is to my success and the goals I am working towards, how could I not spend as much time focusing on this one skill-set, (arguably the most important skill-set in business), as I have given to all of the other skills and abilities I had to learn and develop? I could be the best developer in the world, have the most magnificent sales funnel, be skilled in strategy and have many other things going for me, but without leadership, I’d never be able to build an empire. Leadership has a multiplying effect, and it boils down to two choices. You can work harder and longer to achieve your goals, which most people tend to do. Or you can take on the mantle of leadership and build a legacy that will not only help you, but help others now, and in the future. If you have big dreams, then you need to be a leader. So why exactly have I dedicated a full year to focus on leadership? We talked about the first 2 laws of leadership. 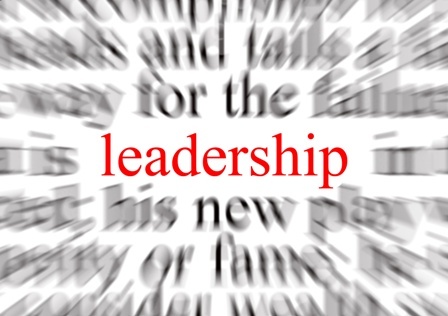 The law of the Lid – leadership ability determines a person’s level of effectiveness. The law of influence – the true measure of leadership is influence – nothing more, nothing less. And I am dedicating a year to focus on leadership because of the third law of leadership, the law of process. The law of process states that leadership develops daily, not in a day. And nobody explains it better than the man who wrote this month’s book of the month, (The 21 Irrefutable Laws of Leadership), John C. Maxwell. I’m taking a full year to focus on leadership because some day very soon, I’m going to have a family and I need to be a good leader. I’m taking a full year to focus on leadership because one day very soon my small team of just a couple dozen people will grow into the hundreds and thousands and they will need a strong leader as their organizations grow. I’m taking a full year to focus on leadership because in just a few years from right now, I’m going to have my own building with employees and they’ll need a good leader. I’m taking a full year to focus on leadership because as I leave the role of building opportunities full time, and step into the role of being a philanthropist full time, founding charities and dedicating my life to leaving a legacy for the future, my leadership abilities is what will determine my level of success. It is my goal that this year, a year of leadership, will be the fuse that will explode the powder keg of success that I’m sitting on. Great post! Leadership skills are crucial to our success!